A national programme has been launched to improve the standard of apps and websites that are designed to help patients manage diabetes and those who are pre- and post-weight loss surgery. The Health App Challenge, run by Plymouth University and funded by the Intellectual Property Office, will ask people to review existing online resources in a TripAdvisor style format. Backed by charities Diabetes UK and WLSInfo, the second stage of the challenge will see developers, patients and other organisations working together to build new apps and websites, before these too are scrutinised by the panel of reviewers. Project lead Professor Ray Jones, of the Faculty of Health and Human Sciences, said the aim was to close any “app gap”, improving the usability and range of e-help available to patients . 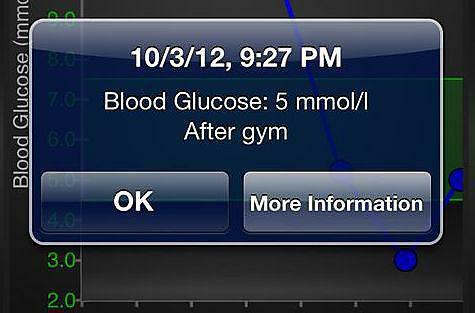 The project builds on the inaugural Diabetes App Challenge from 2012, which focused solely on young, type 1 diabetes sufferers in a bid to address the statistic that showed just 13 per cent of people between the ages of 16–24 in England and Wales achieve their target blood glucose level. Sustained hyperglycaemia – excess glucose in the blood-stream – can lead to microvascular and macrovascular complications by middle age and reduced life expectancy. In contrast, good long-term control of blood sugar greatly reduces these risks. This year’s challenge is open to all age groups (and diabetes types) and sees programmes for diabetes and weight loss surgery running in parallel. The initial stage of the competition is open until November and will see entrants reviewing existing apps and developers building new ones. The new apps will then be added to the reviewing pile and tested. In order to guide and help applicants, the University is arranging a series of one-hour teleconferences from 8-12 September (1-2pm), which will be free to call into, and will address a range of subjects related to app development. Everyone who reviews an app will be entered into a prize draw for a cash prize, and successful apps will also be awarded money and support to help the developers take them forward.